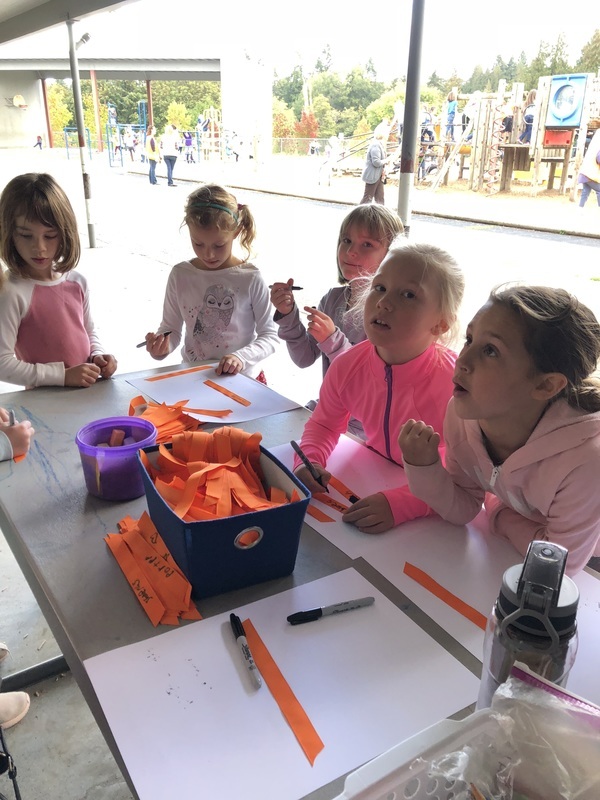 October is National Bullying Prevention Month, a campaign to promote anti-bullying awareness in schools, and students in the Ridgefield School District are showing their support for the cause. Orange is the color signifying support for students who have been bullied. 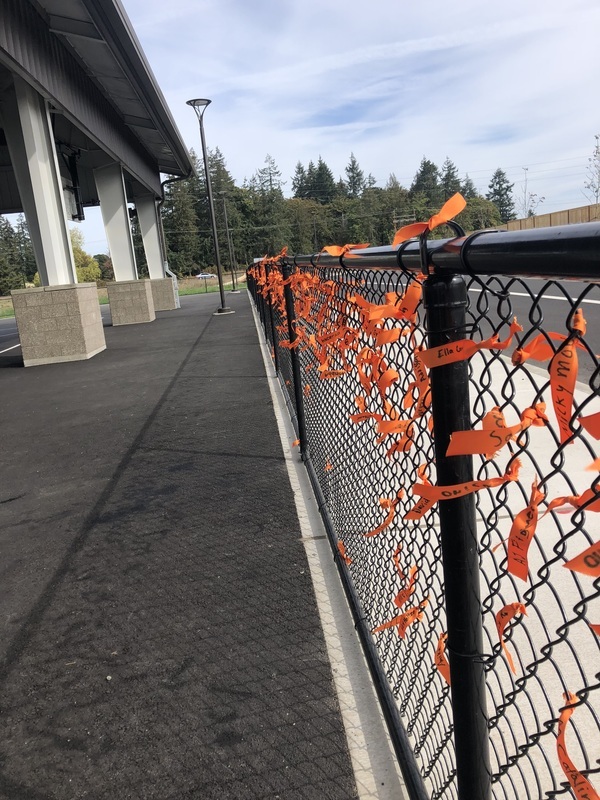 To kick off National Bullying Prevention Month, the district encouraged Ridgefield students to show their support by personalizing an orange ribbon and tying it to a designated fence at their school. The fences, now emblazoned orange by the multitude of ribbons tied on by students and staff, demonstrate unity against student bullying. The anti-bullying ribbons will remain on display at each school during the entire month of October in support of National Bullying Prevention Month. 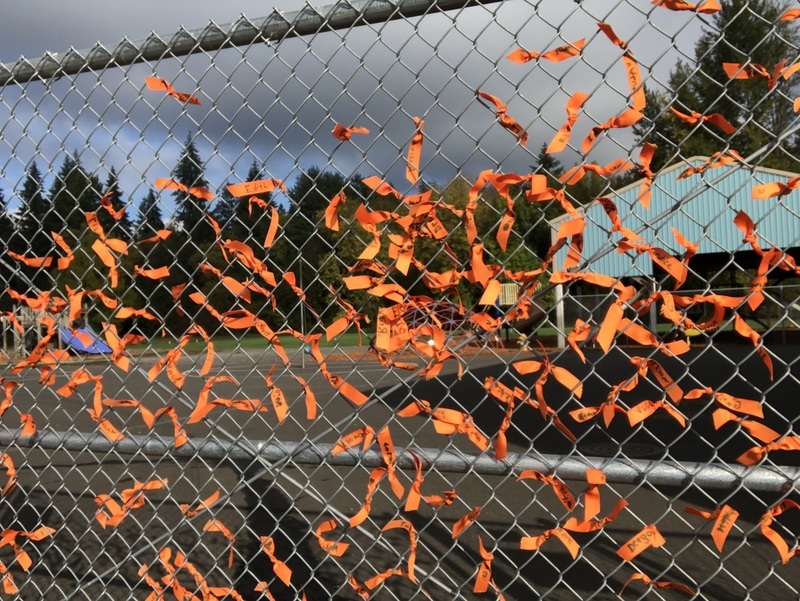 Ribbons fill the fence at the Sunset Ridge Intermediate and View Ridge Middle School campus. Students at Union Ridge Elementary personalize ribbons to show their support against bullying. 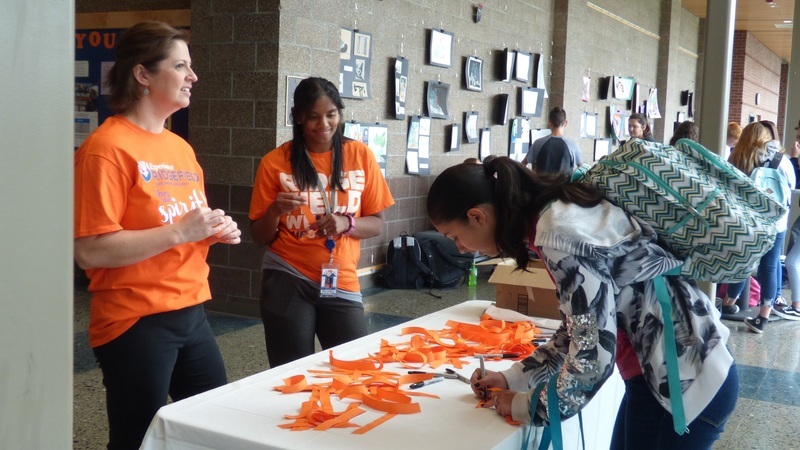 Ridgefield High School students pledge their support at tables manned by District Office staff (L-R) Dani Taylor and Kalin Heath. 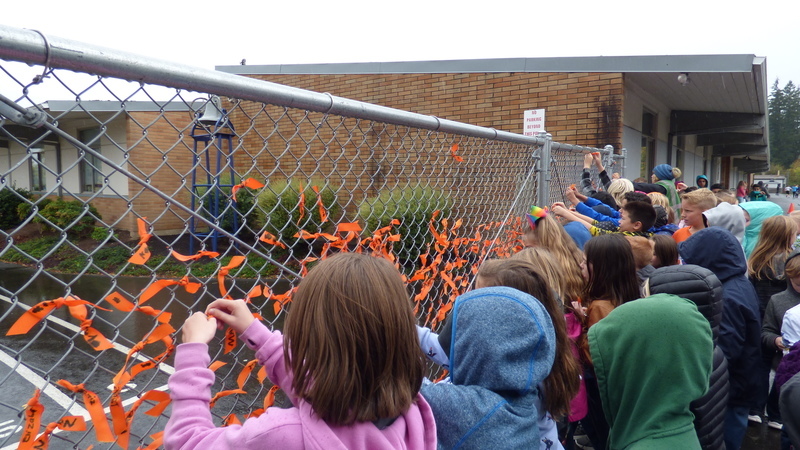 Students at South Ridge Elementary tie their ribbons to the school fence. This month, in classrooms and planned assemblies in the district, students are learning how kindness, acceptance and inclusion help to prevent and put a stop to bullying behavior. Students and staff in the district will be wearing orange on Unity Day, Wednesday, October 24--the signature event of National Bullying Prevention Month--in support of anti-bullying awareness.